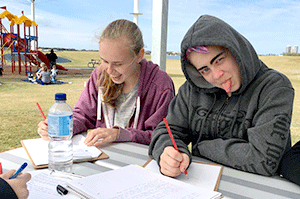 Southport Mobile Education Program began in 2014, running two separate programs for young people on the Gold Coast: Northside (Helensvale to Southport) and Southside (Southport to Currumbin). 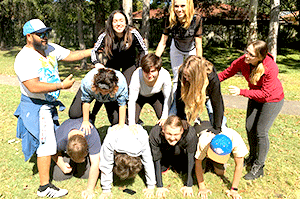 The program has grown and welcomed over 40 young people from across the Gold Coast, working from our classroom in Southport, as the new school buildings were being completed. In April 2018 we will transition across to the permanent site for the Southport Flexible Learning Centre. Southport Flexible Learning Centre is committed to working with all young people who wish to re-engage with education, and who may have found challenges at mainstream school. These include mental health issues, behaviour challenges, learning difficulties and just not enjoying the academic nature of mainstream education. Services We offer a range of activities throughout the week, including outdoor adventure based learning, sports, arts, Mens’ and Womens’ activities, self-reflection workshops and much more. We provide breakfast and lunch for the young people, encouraging them to cook for the community and budget their meals. 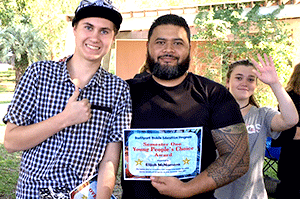 We also work with a variety of other agencies to support young people and their needs, including Headspace, CYMHS, Ted Noffs, Education Queensland, and Wesley Mission. Our community is currently split into three groups: Red group for Years 7 and 8, Yellow group for Years 9 and 10, and Blue group for Years 11 and 12. We have a structured timetable that ensures all young people receive teaching in English and Maths, as well as Project Based Learning opportunities. The Blue group also has a focus on Careers and Transitions, as we support these young people to move into further education or work. We are also currently offering a small selection of qualifications for young people in Years 10 to 12, including SAS English Communications and Pre-Vocational Maths. We teach a Certificate II in Functional Literacy, and we link with our partner school in Brisbane, the Trade Skills Centre, to offer other Certificate II level vocational courses in Automotive and Health.